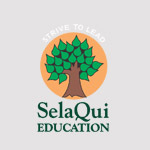 Selaqui Institute of Engineering & Technology (SIET) is a private and self-financing institution set up by the Gurukul Trust in the year 2010 under the roof of Selaqui Academy of Higher Education with two other institutions providing the education in management and law studies. The SIET is affiliated to the Uttarakhand Technical University, Dehradun and approved by the AICTE and Ministry of HRD and UBTE. Campus: The SIET campus is sited on the Dehradun – Chakrata Road (NH-72) at Town Selaqui in District Dehradun, Uttarakhand. The campus is 22 km away from the Dehradun City. The campus is spread over in 52 acres of land adjacent to the Selaqui International School. Programmes: The SIET institution conducts the 4 years full-time B.Tech degree programme in five disciplines of engineering & technology. Under Graduate Courses B.Tech (Bachelor of Technology) – 4 years: Computer Science & Engineering, Electronics & Communication Engineering, Electrical & Electronics Engineering, Mechanical Engineering, Civil Engineering. Students & Faculty: The SIET offers the admission over 300 seats as the annual intake capacity of all five B.Tech programmes. The SIET has a team of more than 68 faculty members from all departments. Facilities: The campus provides the natural disaster proof architectural designed buildings, gardens, fully air-conditioned lecture halls, laboratories, workshops, digital library, medical care facility, sports facility, student store, transportation, cafeteria, computing facility and separate hostel for boys & girls. Activities: The campus organizes the entrepreneurship programmes, workshops and skill development programme. A student activity centre regulates the all co-curricular and extracurricular activities.